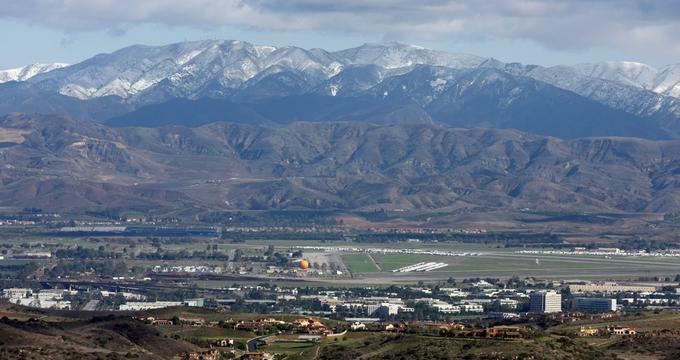 Irvine in Orange County, California, is a fun weekend destination for couples and families, offering great parks, museums and unique adventures. Stroll through the Orange County Great Park, admire beautiful art at the Irvine Museum, go racing at K1 Speed Irvine, enjoy bird watching at the San Joaquin Wildlife Sanctuary, and watch a show at Irvine Barclay Theatre. Best things to do in Irvine, CA, with kids include the Pretend City Children’s Museum, Tanaka Farms, the Beall Center for Art + Technology at UCI, and Boomers! Irvine. 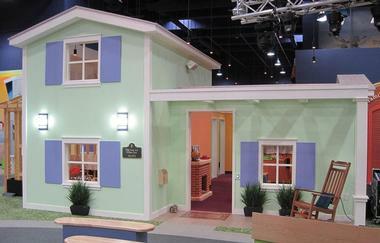 One of the top Irvine attractions, the Pretend City Children’s Museum has been set up as a city for children to enjoy and to have learning experiences. Founded in 1997, the interconnected city is made up of things like a cafe, a farm, a fire station, a post office, a theater, and much more. The Irvine Museum is a fine arts museum and one of the best things to do in Irvine, California. It features rotating exhibits of works by artists who painted scenes of California in the American Impressionist period from 1890 to 1930. Some of the exhibitions have included “Sunlight & Shadow: The Tradition of Plein Air Painting,” “Scenic View Ahead: The Westways Covers Art Program, 1928-1981,” and many more. The museum offers education programs including school field trips, “Art Meets Science,” and many lectures throughout the year. The museum is open from Tuesday through Saturday and offers a docent-led tour on Thursday. Private group tours can be arranged by appointment. 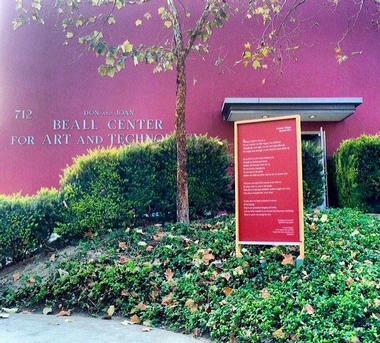 The Beall Center for Art + Technology at UCI is an art and science center located at the Claire Trevor School of Arts at the University of California, Irvine. The center was named after Don Beall, the Chairman of the Board of Rockwell Corporation. Some of the center’s exhibits include “Origins of Life: Experiment #1.X,” “Wall of Sound: New Work by Zimoun,” “Sight & Sound,” and many more. Located on University Drive, Tanaka Farms is an educational experience for families who want to learn about farms and produce. Begun in 1940, the farm grows its own produce and buys additional items from other local farmers. The stand is open all year long and everything that is for sale has been freshly harvested. The farm offers a variety of tours throughout the year depending on the season: the Strawberry Tours are held from March through June; the Watermelon Tours are conducted from July through August; and the Pumpkin Patch Tours take place from September to October. The farm hosts special events such as cooking classes. Another feature of the center is its collection of racing related art and memorabilia. The center also hosts events such as corporate meetings and birthday parties. More places to visit: 15 Best Things to Do in Anaheim. Located on Riparian View, the San Joaquin Wildlife Sanctuary is a 300 acre fresh water marsh made up of a series of ponds and more than 11 miles of nature trails. Largely created by a wildlife enthusiast, Peer Swan, the sanctuary is home to a wide variety of birds, including cormorants, ducks, eagles, egrets, geese, grebes and herons. If you are wondering what to do in Irvine with kids, this is a great place to visit. There are many other animals like bobcats, coyotes, and raccoons, as well as many species of amphibians, fish, and reptiles. 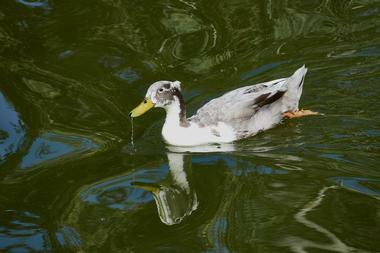 In addition to the trails, there is a boardwalk, an observation area, and the Audubon House, also known as the Duck Club. Irvine Barclay Theatre is a performing arts venue located on Campus Drive. Opened in 1990, performances take place in the 756 seat Cheng Hall which is known for its excellent acoustics. The theater is a joint venture between the city of Irvine and the University of California, Irvine. It presents contemporary dance, music, and theatrical performances and focuses on local and regional artists and arts groups. Some of the diverse programs include “Run River North,” the Danish String Quartet, the King’s Singers, and more. The theater offers tours of the facility including its back stage through its “ArtsReach” program. The theater can be rented for private and public events. 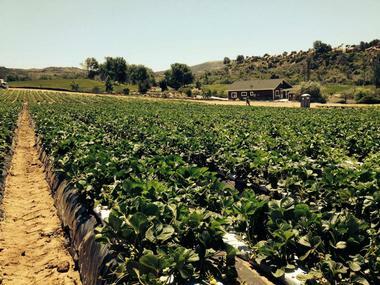 Located on Strawberry Farm Road, Strawberry Farms is home to one of the top golf courses in Southern California. It is a par-71 18 hole golf course set in a beautiful landscape that includes a 35 acre reservoir surrounded by breathtaking scenery of hills, natural waterfalls, and granite boulders. The 6,700 yard course was designed by Doug DeCinces and features large manicured greens set in the natural local habitat of wetlands and canyons. The club offers discounted rates for Irvine residents, seniors, and for youths 17 years old and under. Because of the beauty of the setting, the club is a popular choice for wedding ceremonies. More California vacations and California beaches. Located on Michelson Drive, Boomers! Irvine is an amusement center that features many forms of fun and entertainment. There are many attractions like bumper boats, go karts, laser tag, miniature golf, rock wall climbing, and many more. Buccaneer Cove is a large water play area with five levels, several slides, spray loops, wet tunnels, and other activities. The center also features a state-of-the-art arcade room with games like virtual racing and snowboarding. Corporate, school, and youth groups are welcome and the center offers a variety of package visits. The center is a popular place to celebrate birthdays and there are many options available. Xtreme Adventures is an exotic car driving experience located on Irvine Center Drive. It is a family owned business operated by Alex, Daniel, and Michel Lombrozo, all exotic car enthusiasts. The company offers several car experiences such as their Exotic Autocross Challenge, Exotic Car Rentals, Exotic Car Tours, and more. For the Exotic Autocross Challenge, guests can choose between a Ferrari, a Lamborghini, and a Porsche: professionals give instructions to guests before they begin their adventure. For those who are too young to drive, the company offers them the opportunity to ride in one of the exotic cars driven by a professional driver. The company also welcomes groups for corporate and private events. Located on Irvine Center Drive, Chocxo Bean to Bar Chocolatier is a chocolate and coffee factory. Founded by Richard Foley, the company collects the finest cocoa beans from Central and South America and processes them using the latest technology. 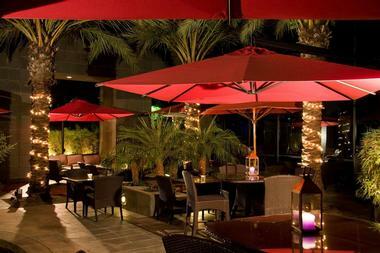 If you are looking for romantic date ideas in Irvine, California, this is a great place to visit. The company offers guests the opportunities to taste their artisan espressos and chocolates while being educated by the knowledgeable baristas. The Oak Creek Golf Club is home to a public golf course located on Golf Club Drive. Designed by Tom Fazio, one of the best and most famous golf course designers in the world, the 18 hole course is surrounded by a scenic landscape of lakes, fairways, bunkers, and greens. It is also the home of several kinds of birds such as egrets, hawks, herons, owls, and other animals. Opened in 1996 on land that was a former orange grove, the 71-par 6,834 yard course is appropriate for players of all skill levels. The course is open every day with reduced fees from Monday through Thursday. Watermelon curry and tandoori Thanksgiving turkey are not on the menu of your average Indian restaurants. But Clay Oven is not ordinary in any sense of the world. Chef and owner Geeta Bansal aims to educate fans of Indian food about the new trends that are keeping the Ayurvedic principles but experimenting and adjusting to the times. The food in Clay Oven is not a fusion of any kind, just the modern version of the thousand year old cuisine. In this simple, understated but very pleasant restaurant you can find such surprises as tandoori frog legs and a range of game dishes including wild boar, rabbit and venison. The menu is seasonal and many vegetables, spices and fruits come from their own garden. There are many vegetarian and gluten-free dishes. There is a lot of art at Bistango: on the walls, placed around the spacious dining room, in the room design and on the plates. Bistango is located in the award-winning Atrium Building in downtown Irvine and the art is part of the revolving exhibition. The food, which is as spectacular to eat as it is to look at, is modern American, focusing on high quality fish and seafood, but it also offers large selection of pastas and specials like Bison Ribeye with Brandied Peach and Cherry Demi-Glace. 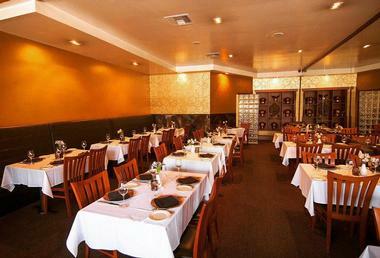 Their award-winning wine list has more than 400 labels. The bar, which is an art statement in itself, offers great tapas, innovative cocktails and nightly entertainment, showcasing everything from jazz to classics and R&B. Located on C Street, the Orange County Great Park is the name of the county park that is now found on land that was formerly the Marine Corps Air Station El Toro in Irvine. Made up of 1,347 acres, the park opened in 2007. The park includes “The Great Park Balloon,” an attraction that holds up to 30 people and rises 400 feet above the ground to serve as an observation deck. 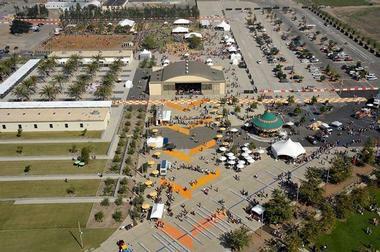 The Palm Court Arts Complex contains the Great Park Gallery, the Great Park Artist Studios, and the 10,000 square foot Hangar 244, an events center. The “Certified Farmers Market” is held at the park every Sunday. Located in the Executive Park building in downtown Irvine, Agora Churrascaria introduces the delights of beef made Brazilian style to the local carnivores. 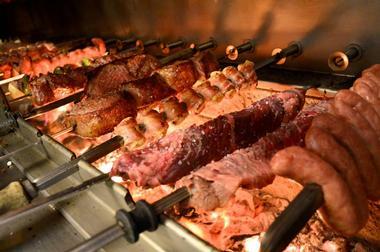 “Churrascaria” actually means a Brazilian Steak House in the “Rodizio” (continuous) style. The enormous dining room almost feels like a temple to overindulgence, with high ceilings and huge stone pillars. Tables with white tablecloths are spaced to allow traditionally garbed Gauchos (cowboys from the south of Brazil) to carve the meat next to the table. All meats are grilled on an open fire at the premises. A large buffet-style assortment of hot and cold salads is available to accompany more than generous portions of meat. Besides beef, there is chicken, lamb, and pork. A fully stocked bar includes unique Brazilian drinks, a good selection of Caipirinhas, and Brazilian beer. William R. Mason Regional Park is a park located on University Drive in southern Irvine. Named after former Irvine Company President William R. Mason, the park is sometimes referred to as Mason Park. It opened in 1973 with 45 acres of land; in 1978, 50 more acres were added and this included a nine acre lake. The park is divided into two parts: the east side of the park is a natural wilderness area made up of rugged hills, a small creek, and a bike trail. The west side of the park is more traditional: it is made up of grassland, an artificial lake, and many trails.